I can't believe that 2016 is over and it's time to start planning for 2017. The last year has been amazing in The Quilting Room. I've seen a lot of growth, met new friends, and gotten to know some of you much better. I'm amazed each day when I look at my stats that people show up and that you keep coming back. For a girl who denied her inner quilter for so many years, it's humbling to be shown that a quilter is who I truly am. Over twenty-seven thousand people have come into my quilting room. As a girl from a small rural town of 450 people, that number is mind blowing. There aren't that many people in my whole county. 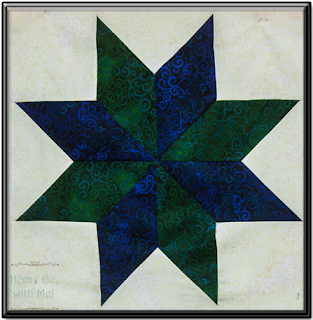 Number ten on the list is The Eight Point Star. This is one of my favorite quilt blocks. Number nine on the list is Sewing Machine Feed Dogs: How They Work and How They Have Changed. 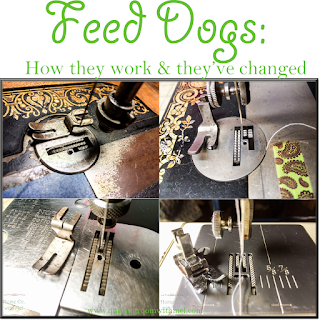 The feed dogs are a very important part of our sewing machines. 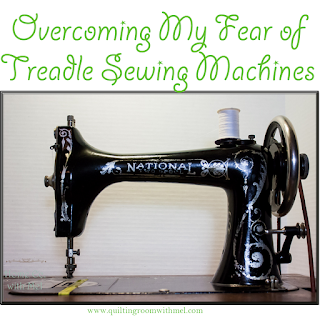 Number eight on the list is Overcoming My Fear of Treadle Sewing Machines. It's nice to know that there are others who have or have had some trepidation when it comes to treadle sewing machines. 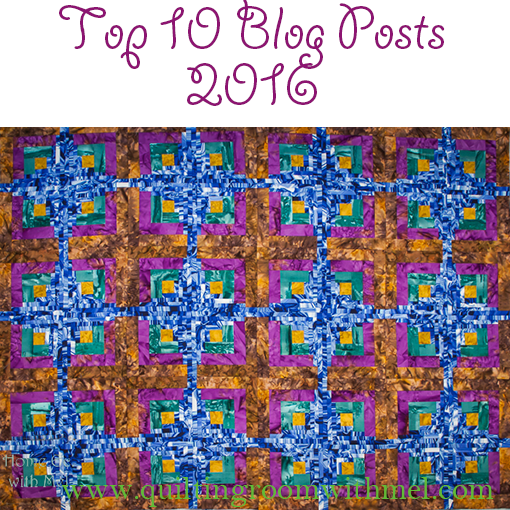 Number seven on the list is The Quilting Room Motherload. We had so much fun at the auction. Number six on the list is How To Get The Perfect Quarter Inch. 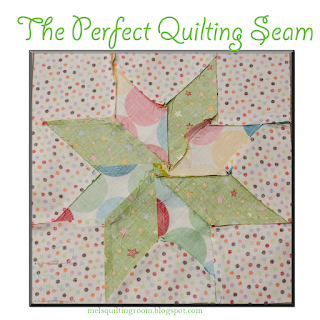 You can't have an accurate quilt if you don't have a good quarter inch seam. Number five on the list is How To Store Fabric Scraps. 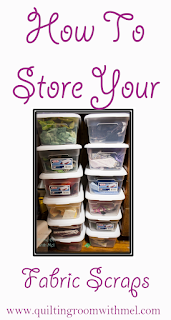 Fabric scraps can quickly take over your life so a way to store them is a must. 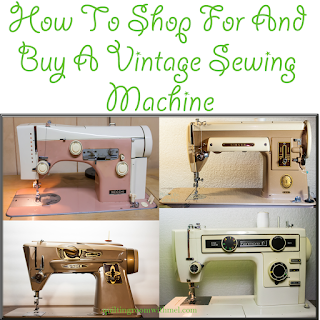 Number four on the list is How To Shop and Buy A Vintage Sewing Machine. 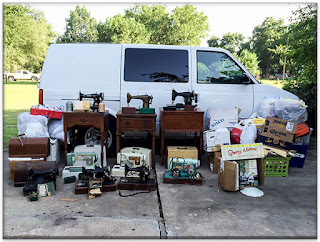 With over 80 sewing machines in our herd we've gained several tips to shop and buy a vintage sewing machine yourself. 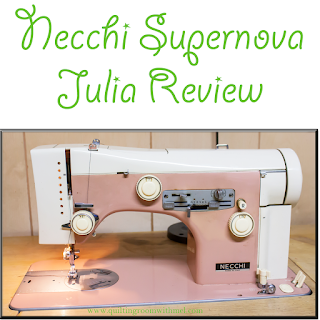 Number three on the list is my review and demo of the Necchi Supernova Julia. I adore this machine and it's what I do all of my FMQ on. Coming in at number two on our list is How To Find Your Medium Tones. 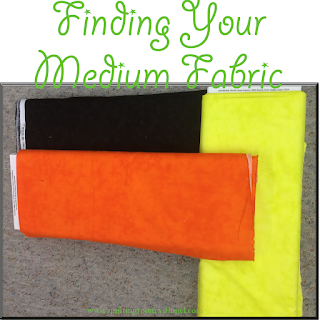 When you need three tones of fabric finding the middle one can be a difficult process. 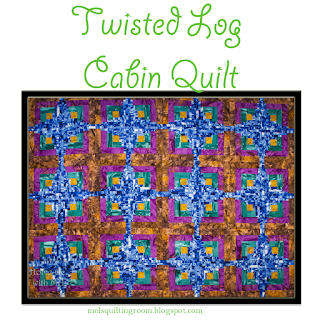 The top post of 2016 is The Twisted Log Cabin. This post makes me giggle now when I see it. I was sure that I had done a new spin of the curvy log cabin by adding in that extra strip. It appears others thought the same thing. While cleaning out boxes in the basement I found a UFO of my mom's and that UFO was none other than my twisted log cabin. I guess what they say about there truly are no new ideas in quilting is 100% correct. 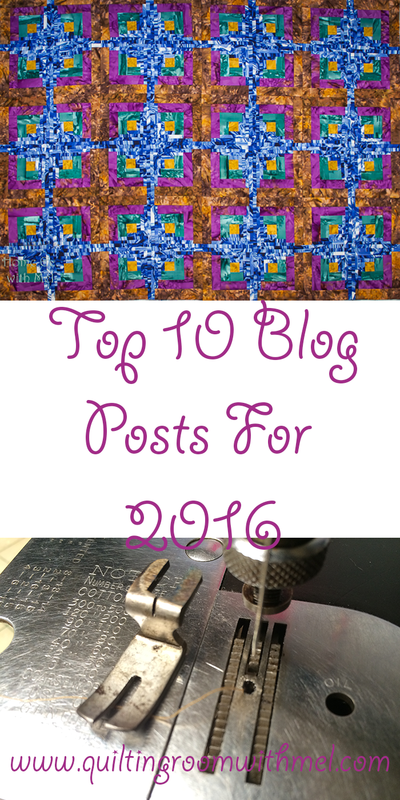 The overall top viewed post of 2016 was actually a post that was written in 2015. The microwavable bowl cozy is a favorite of so many. Thank you for your support this last year. Don't forget to sign up for one of our newsletters to get a freebie as our thanks to you.